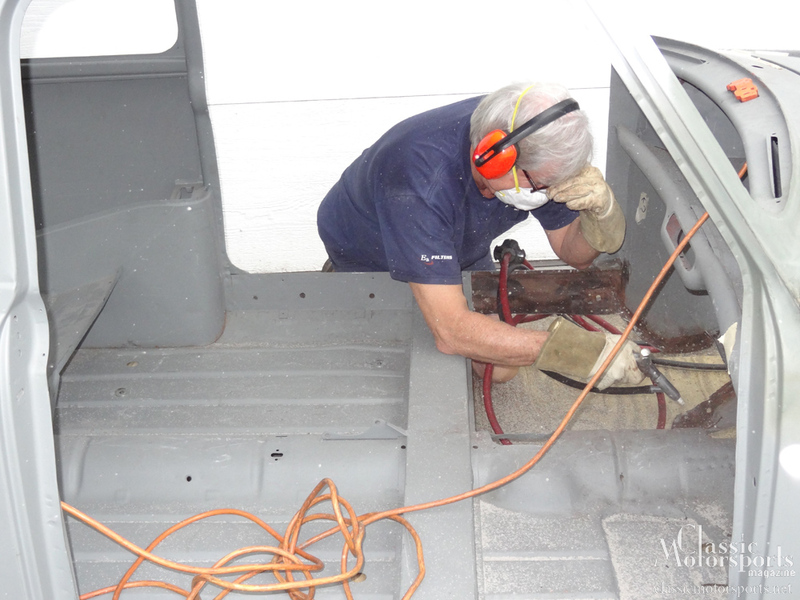 Repairing the passenger’s side floor pans was a blast. First, we figured out how much metal to cut out of our Mini’s floor pan and did so using a rotary cut off wheel. The exposed metal needed to be sand blasted. We used an inexpensive Eastwood bucket sand blaster. 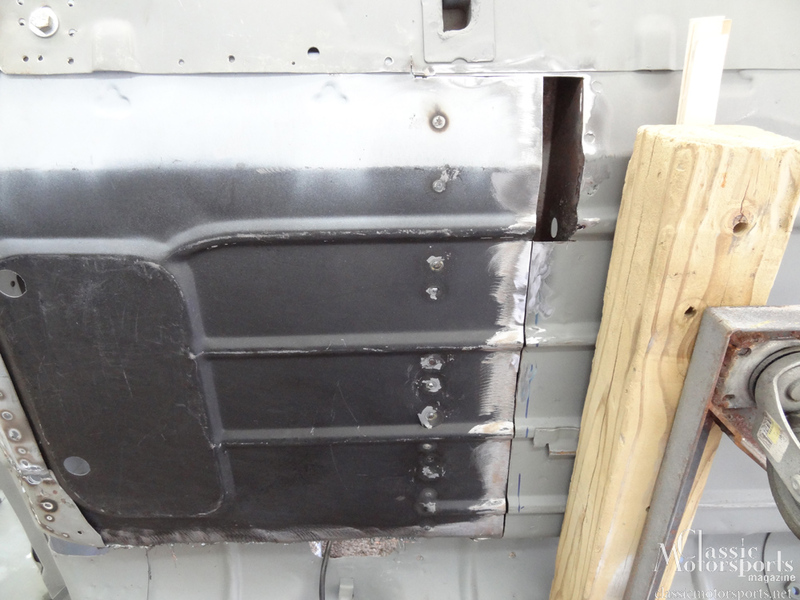 The replacement panel was cut to fit, seam welded at the back, and plug welded where it was originally spot welded. Any excess weld was ground off; repairs are barely detectible. The Mini’s floor on the driver’s side was in bad shape, so we ended up using the entire Mini Mania-sourced front floor patch panel. We still had to roll the inside slightly to match the transmission tunnel. 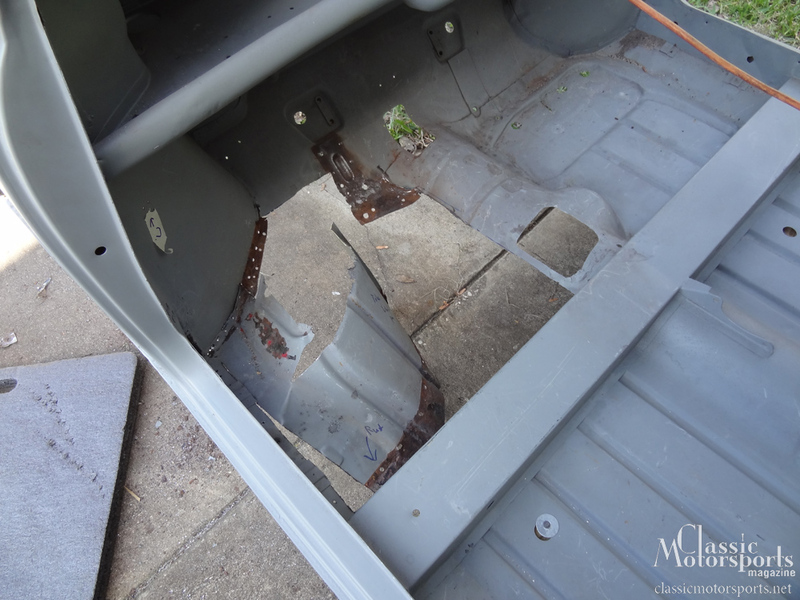 Plus, we removed what looks like a body jig from the inner rocker panel to reuse it on our new floor pan/inner rocker assembly. Fortunately, the original piece was still in good condition. At the rear, we seamed the floor repair underneath a horizontal brace that stretched across the car. This helped keep the repair as invisible as possible. 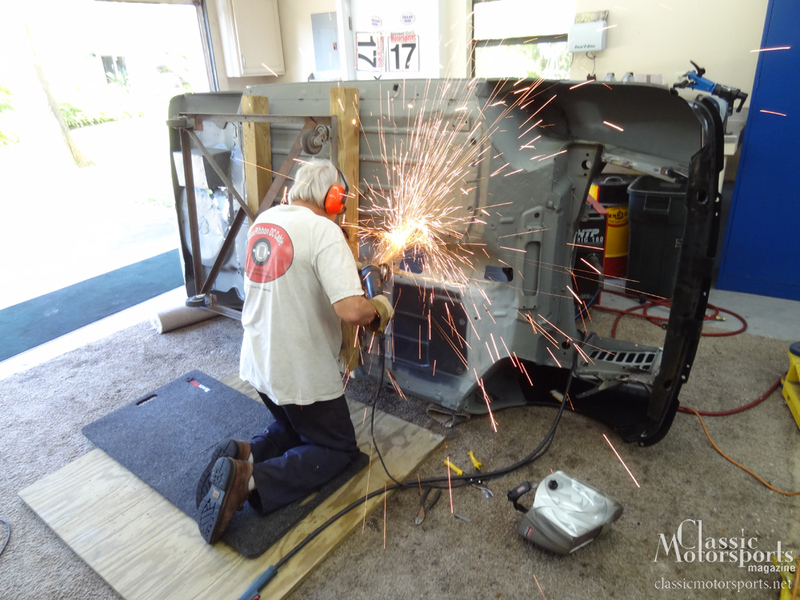 All in all, the patch panels fit well, and we only needed to make a small repair on the passenger’s side.